I have been eating these puppies (as muffins) like they are going out of style. Get on it yall! Today I have a fun paleo recipe to share with you! I saw the original recipe for Sweet Potato Banana Bites on Lindsay’s blog, and knew I had to make them! With just a couple minor tweaks, I was able to create a paleo-friendly version. Instead of making mine into muffins, I made them into mini donuts! 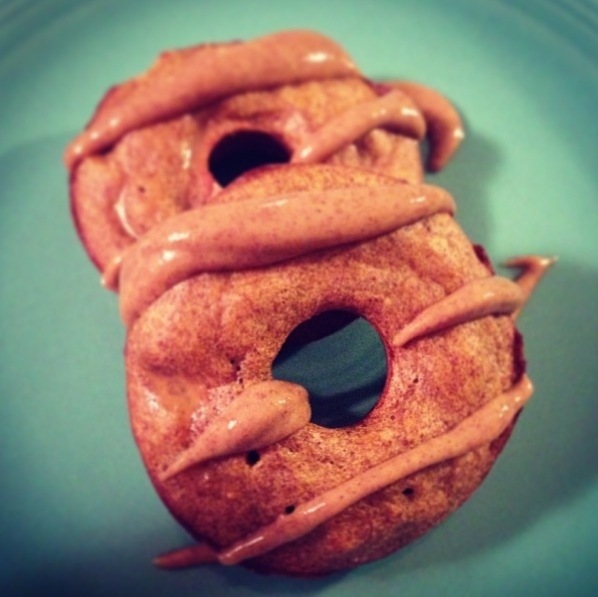 So here you have it, Sweet Potato Banana Paleo Donuts! Mash sweet potato and bananas together in a small bowl. Add the remaining ingredients and whisk together until smooth. Pour batter into greased mini donut/mini muffin pan. (You could also use regular muffin/donut pans, you would just get a smaller yield).